It's the start of a new year: traditionally a time to reflect, reassess, and set some goals for the coming 12 months. However, if you're anything like the T3 staff, good intentions in January can quickly lead to lapsed habits and broken promises by mid-February. With that in mind here are some of the gadgets and gizmos you can use to keep yourself on the right track, no matter what your ultimate aims are - with the right tech to hand you don't have to rely on willpower alone to make sure you do everything you want to in 2017. Wrapping a fitness tracker around your wrist is no guarantee that you're going to be able to get out early every morning for a jog, but having a device (and an associated app) to keep tabs on your progress and let you review your efforts so far can't do any harm. There are plenty of makes and models to choose from - we like the Fitbit Charge 2 (£129.99/$149.95) for something more advanced and the Misfit Flash (£15/$11.99) for something more basic - so you should be able to find one to suit your needs and budget. Already got a smartphone? Good. Put your plans to quit smoking into action with the Smokefree app (Android, iOS) from the NHS - you can keep track of how much you're saving, see how many days you've held out, get daily encouragement and more besides. The NHS says if you can stay smoke-free for four weeks - which this app will let you do - then you're subsequently five times more likely to be able to give up the cancer sticks for good. Another similar app that can help you quit smoking is Smoke Free (Android, iOS). 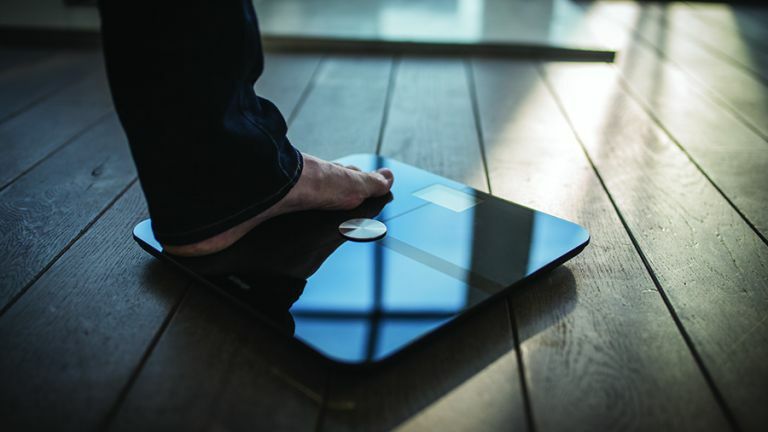 Pretty much any household item is available in a smart, connected version now, and your humble bathroom scales are no different - take a look at the Body Cardio Wi-Fi Scale from Withings (£149.95/$179.95), for example, which tracks your weight and much more. The scales can keep an eye on your weight, BMI, total body fat and water percentage, plus bone and muscle mass, and everything syncs back to your smartphone automatically via Bluetooth and Wi-Fi. Fortunately, the Withings app is also one of the best in the business. Is 2017 really going to be the year you actually start decluttering for good? One way to make sure is to invest in a portable scanner like the Doxie Q (£239/$279), which runs on battery power so you don't even need to hook it up to a computer to get started. The device is capable of running through 1,000 paper scans between charges, and thanks to the official apps you can send documents straight to iOS, Mac or Windows machines. It comes with a collapsible sheet feeder too to make sure all your documents are straight. Pretty much any fitness tracker worth its place on your arm will have a go at tracking your sleeping patterns for you, but the Hello Sense (£149/$149) does a lot more besides, and has the added bonus of freeing you from wearing a gadget every time you go to bed. The Sense not only works out how much sleep you're getting thanks to a monitor on your pillow, but also rates your sleeping environment in terms of humidity, temperature and noise, so it's perfect if you're determined to start getting more shut-eye during 2017. You don't necessarily need to buy a brand new gadget to stay productive over the course of the next 12 months, because there are a pile of apps that will run on your existing laptop (assuming you already have a laptop...), and a lot of them are free to install. Take RescueTime, which comes as a free browser extension and can make sure you're spending more time in Google Docs than on Facebook; or the very simple Tomato Timer, which lives on the web and lets you split your time into chunks (the Pomodoro method). Perhaps you're number one goal in 2017 is to have less stress in your life, and here again there are gadgets and apps that can help out. Take Spire (£119.95/$99.95), a tracker focused on mindfulness, calm breathing, and being in a better mood for the whole day. We should also mention the Apple Watch (£269/$269 and up): it comes with a Breathe app that reminds you to take five minutes and just relax, on a regular schedule, plus a bunch of bundled health and fitness monitoring tools you've probably already heard all about. The best New Year's resolutions are ones that are pro-active and help you to achieve something - something like learning a language. Of course there are lots of ways to approach this, from apps on the web to apps that run on your smartphone of choice. For something a bit more tactile there's FlashSticks (£4.99/$6.23 and up), which combines themed Post-It notes with apps for Android and iOS to get you learning in small bursts all through the day - by the time 2018 comes around, you just might have mastered it.